When a situation turns sour – at work, at home, or even in a faith community – we often look for somebody to blame. As voices rise and fingers point, we need to breathe deeply – and call a time out. 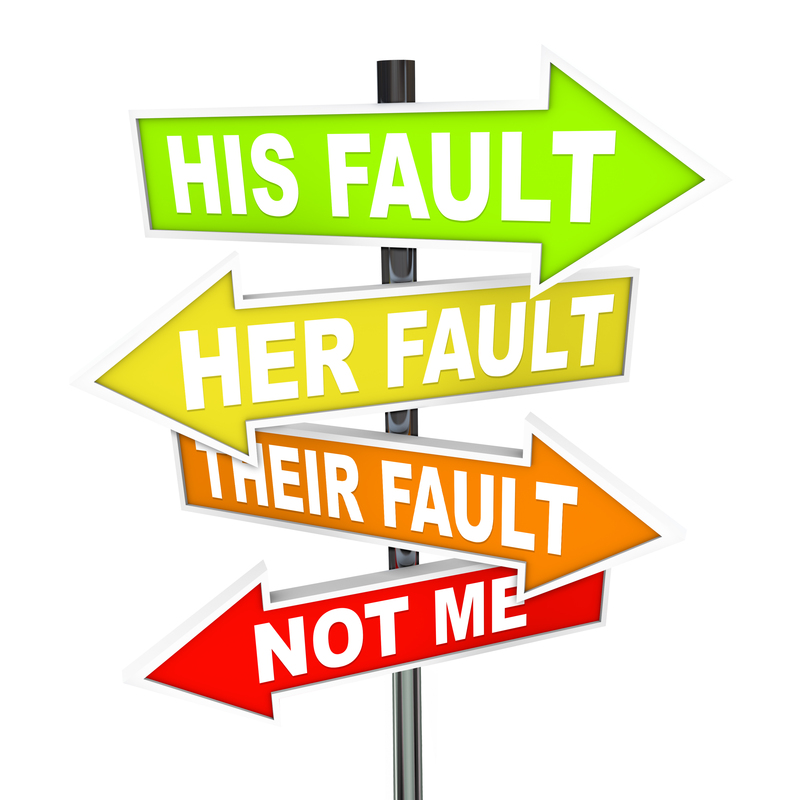 Why shouldn’t we pile on blame when somebody is obviously at fault? Can’t we shame the perpetrator into better behavior? Won’t we feel so much better when we “clear the air”? To improve a relationship, start with yourself. Even though projecting your feelings into the open seems relieving, you may sabotage your goal because you’re clouded by poor judgement. Example: One of my children, after many years, stunned me by confessing, “Mom, I wanted to apologize, but I couldn’t because you were so angry!“ I’d had no idea my self-righteous anger had created a barrier against the apology I longed to hear. Even if you feel sure you’re right and the other is wrong, chances are you both played a role in the dispute. Maybe you simply didn’t make your expectations clear. Or you failed to share information. Or you missed clues that the other was unhappy. Begin a tough conversation by acknowledging your own part; this will make it easier for the other to move from defensiveness to acknowledging their own part in the dispute. We all make assumptions based on our own experience. Most of these are unconscious opinions, but we think they are facts. Our worst mistakes are caused by acting on what we think we know that’s plain wrong. Example: Your single, unemployed brother moves into mom’s place “to take care of her.” You know she shouldn’t live alone, but you want her to move into assisted living and sell her house. You’re sure your brother is freeloading and running through Mom’s money – and your inheritance. He even talked Mom into taking him on a cruise! And now he wants you to take a turn with Mom every other Saturday so he can be with his girlfriend. The nerve! Let’s look at what your brother is actually doing for Mom: Personal care? Yard work? Household repairs? Driving to doctors, shopping, church? What would outsiders charge? What would assisted living cost? Is Mom willing to move? Is brother paying any of his own living expenses? Instead of blaming your brother, ask him some open open questions in a polite conversation. You need information. You might find out he’s actually saving Mom’s money. In fact, you might discover you need to express some appreciation. It only makes the situation worse. AA groups have a saying: “One definition of insanity is to do the same thing over and over expecting a different result.” Blaming is like scolding an alcoholic. You might feel better temporarily, but you won’t change his behavior. Blaming will back the other into a corner which he’ll defend to the end; nor will it solve a problem or mend a broken relationship. Instead, acknowledge your own part, figure out what you don’t know, ask open questions – and listen to the answers. © Carolyn Parr and Beyond Dispute Associates, 2014. Unauthorized use and/or duplication of this material without express and written permission from this blog’s author and/or owner is strictly prohibited. 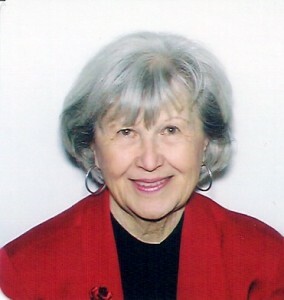 Excerpts and links may be used, provided that full and clear credit is given to Carolyn Parr and Beyond Dispute Associates with appropriate and specific direction to the original content. An outstanding article!!! The first point alone sets a great example with the point of “Starting in the wrong place”. I wish I could calculate the number of times that I have heard a supervisor say to me “Everybody is telling me that “Elizabeth (using myself as an example) is not doing her work! And the supervisor goes on with details and comments about the complaint. As the supervisor goes on, there is now consideration of disciplinary action from write-ups, to suspensions, reduction of hours or reduction of pay. If the supervisor is asked “What does Elizabeth have to say about this?” , the supervisor is likely to freeze, stutter, or hesitate. Somehow in all considerations it just so happens that Elizabeth was not included when accusations, true or not, were spoken, and a through investigation was not conducted. What if the truth is that the complaint started from the wrong point? What if assumptions are at the bottom of the entire situation? What if a “tough conversation” never took place or was allowed to take place? What happens to Elizabeth when the disciplinary action takes place? This is just outstanding reading!! Hi Carolyn, great post. Avoiding placing blame is a key step in resolving disputes. When someone wants to blame another, it’s nearly impossible for both sides to recognize the true issue at hand.